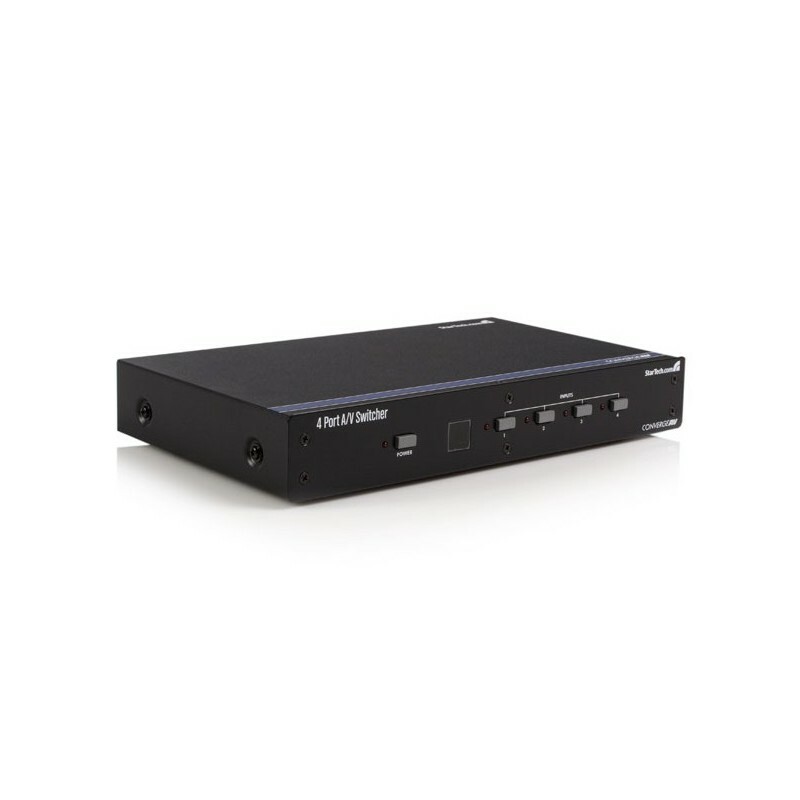 The VS410RVGAA 4 Port VGA Video Audio Switch with RS232 control lets you switch between four separate VGA signals, as well as the corresponding audio, for output to a single display or projector at resolutions up to 1920x1200 (PC) or 1080p (HDTV). An ideal solution for situations where VGA and audio input ports are scarce, the VGA switch eliminates the hassle of having to swap out connections to your display and audio receiver, while letting you select the video source quickly and easily at the push of a button. The VGA switch also features convenient remote switching capabilities through either RS232 serial remote control, or the included IR remote control - allowing you to switch between VGA input signals from a distance and in turn providing a convenient addition to presentation displays, trade shows, security environments and more. Backed by a StarTech.com 2-year warranty and free lifetime technical support.